Walter Bruce Willis was born in Idar-Oberstein, West Germany (March 19, 1955). 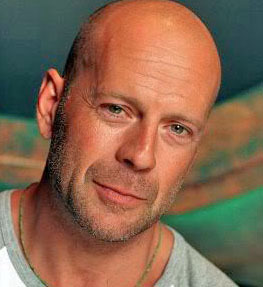 Bruce Willis is one of the most popular actor of the cinema sector. Bruce Willis is also producer, writer, musician, singer. 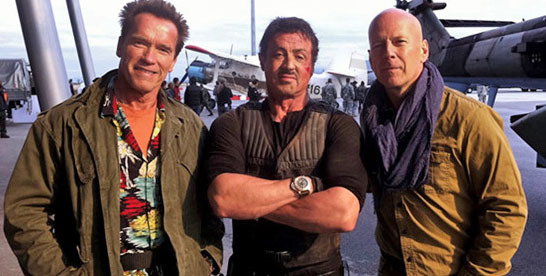 Bruce with Sylvester Stallone (height 5’9.5”) and Jean Claude Van Damme in The Expendables 2 (2012). Bruce Willis was married Demi Moore from November 21, 1987 to October 18, 2000.The couple had three daughters. His current marriage is with Emma Heming from March 21, 2009. And they have two daughters. Bruce Willis lives in Los Angeles, California, U.S.